Weight Loss and Fitness using patented clinically proven products that work. Sessions in a small groups. Individual attention is key. Of course, once you have lost the weight, keeping it off in the long run is just as important. And that’s why the bodykey by NUTRILITE programme also focuses on weight management. So no more yo-yo dieting – with bodykey by NUTRILITE not only can you achieve your goal weight, you can also look forward to long-term success. 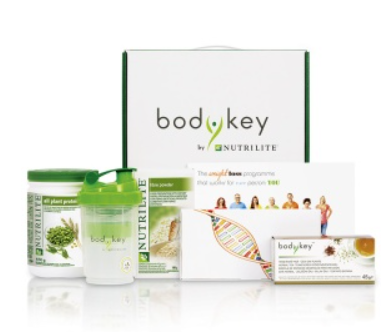 The bodykey by NUTRILITE programme was developed by a team of researchers, nutritionists and wellness coaches in collaboration with the Nutrilite Health Institute and Amway. 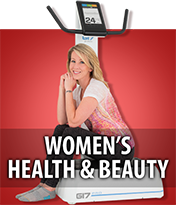 Our experts have a wealth of know-how and experience in dieting, fitness, health and well-being. 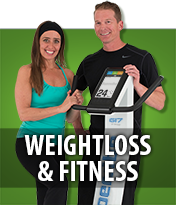 They will motivate you throughout your weight loss journey and are committed to your long-term weight management. Why wait any longer? Sign up now to get started with bodykey by NUTRILITE – you are only a few steps away to making your weight loss goal a reality. WHEN TRYING TO CREATE A HEALTHY, SUSTAINABLE LIFESTYLE FOR YOURSELF AND YOUR FAMILY, FOCUS ON FOUR FOUNDATIONAL PILLARS: NUTRITION, ACTIVITY, REST AND ATTITUDE. on establishing a healthy relationship with food based on balanced choices along with portion control and regular physical activity. With the proper nutrition, your body will function at its best, giving you more stamina and energy for the things you want to do. alert. Exercise has been shown to improve cardiovascular function and reduce your risk of certain health conditions. It’s an important pillar to make time for, especially with a busy lifestyle. time each day that will allow you to wake up naturally, without an alarm. Avoid alcohol and caffeine before bed. Your body will function at its best when you provide it with adequate time to rest and restore every day. to minimise stress as much as possible and have a positive attitude in whatever you’re doing. These are key points when it comes to creating and sustaining a healthy lifestyle for the long term. Remind yourself that even small behavioural changes can produce big improvements in how you think and feel. A healthy lifestyle is meant to give your mind and body the physical and mental assets to live your life to the fullest. Even if you don’t see overnight results from the changes that you are making, know that over time, the results will appear, but more importantly, you will feel better — both physically and emotionally — when you commit to healthy living. Fresh exotic flavouring, pure and stabilized. To be healthy: drink every day in the morning our purest aloe Vera gel and enjoy fresh feeling all day long. Including of 12 kind of vitamins :Vitamin A, C, B1, B2, B3, B5, B6, B12, E. Many of these vitamins cannot be stored by the body so we need consume of the any natural supplements that contains vitamin. The leaf contains 200 health promoting compounds, including 20 minerals: Calcium, Phosphorus, Copper, Iron, Zinc, Magnesium, Manganese, Potassium, Sodium. 18 amino acids, enzymes and mentioned useful vitamins. High levels of ingredients, what the body need for keep healthy life. Among the substances identified in aloe Vera is a long chain sugar (polysaccharide) that is known to have an effect on the cytokine system – the chemical messengers of the immune system. Aloe is promote good metabolism, that is the production of energy which the body needs. Also because it contains Vitamin C, that is very important in the strengthening of the immune system. Forever Living Aloe Vera Gel is cleanse our body system from the toxic substance. Due to the oils it contains. On the other hand, due to the presence of photolytic enzymes helps cleaning dead tissues. Very often we drink water, does not live up to recommended standards and represents a source of toxic accumulations in the body. We could also mention the taste improver and the chemical preservatives, with proven toxic and carcinogenic effects. Food additives are a big threat to our health. Aloe possesses a hormone that accelerates the growth of new cells, also eliminating the old ones. Due to the presence of calcium in aloe which is regulates the amount of liquid in the cells. In addition it contains minerals like Calcium, Phosporous, Copper, Iron, Magnesium, Manganese, Potassium, Sodium: essential elements for metabolism and cellular operation. Aloe Vera Gel can add a rich supply of building materials to produce and maintain healthy skin. The skin replenishes itself every 21 to 28 days. Using the nutritional building blocks of aloe Vera, the skin can utilize these nutrients daily to help combat the effects of aging! A daily dose of Aloe Vera Gel can be just what your skin needs to look and feel . Aloe Vera is extremely healthful for your mouth and gums. A 2008 study in the Journal of Applied Oral Science found that aloe, used as a dentifrice, works better than two leading brands of toothpaste. A daily dose of Aloe Vera Gel may support your healthy oral hygiene – especially when combined with daily use of Forever Bright Tooth gel. Take that to your next dentist appointment! 10. Aloe Vera (Barbadensis Miller) has no known side effects! There is no risk of overdose. Aloe Vera is extremely safe, non-toxic. Aloe Vera detox & improve your immune system. Helps body heal itself. 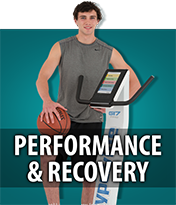 Our sessions are limited to 12 people so we can give you personal attention on your weight loss journey. All the products can be bought directly from the suppliers at a reduced cost saving you money. You can get rebates for introducing your friends to the products. The concept is simple. Switch, Save and Duplicate. We use world class patented, clinically proven products that are safe, pure and beneficial. 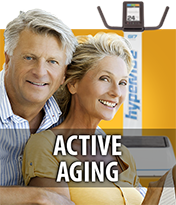 The fitness equipment is patented vibration technology with a GFORCE of 14 and amplitude of 5-25 so anyone of any age and fitness ability can use the equipment. INCREASED MUSCLE POWER & STRENGTH. INCREASED TONE IN POSTURE MUSCLES. 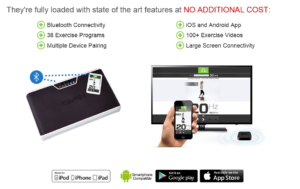 Whole body vibration is not only an effective replacement for physical exercises, in people with sedentary lifestyles and limited time for workouts, but also a useful form of therapy for women dealing with poor lymphatic drainage, painful joints, stiff muscles, weight management problems and poor immunity levels. All these issues can be addressed and solved through regular WBV sessions, the positive effects of this form of therapy being supported by numerous scientific studies.